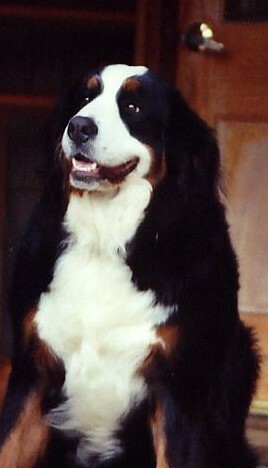 Achieving good longevity in the Bernese that I breed at Dharmansk has become an integral commitment to my breeding program. 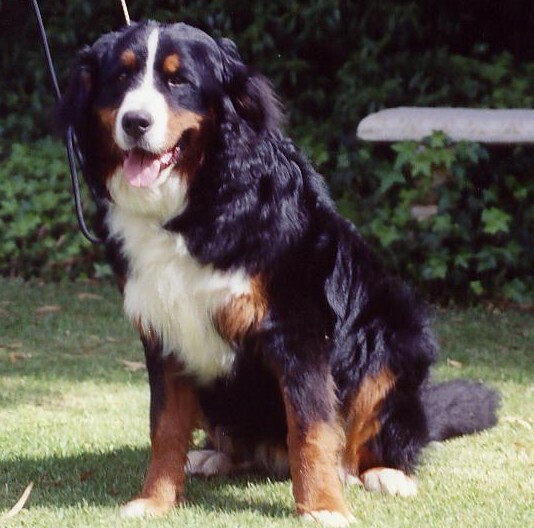 My approach for breeding embraces individuals (lines) demonstrating good longevity. 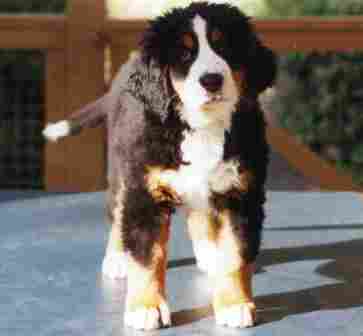 My plan acknowledges these individuals and each litter includes in the parentage combination , partners with this known longevity lineage. 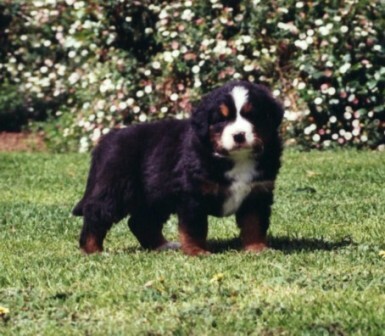 I believe, and overseas studies support, that longevity has genetic expression and therefore I will continue with earnest, this work, in my breeding program to maximize genetic penetration of longevity in the Dharmansk Breeding Program. 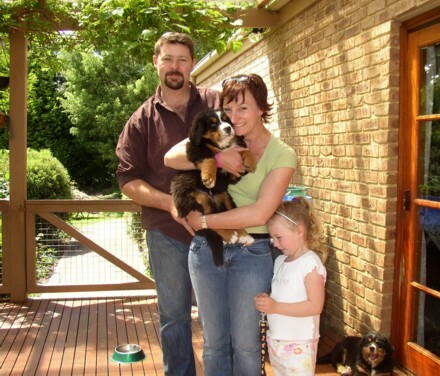 The results so far are very rewarding and consolidating. 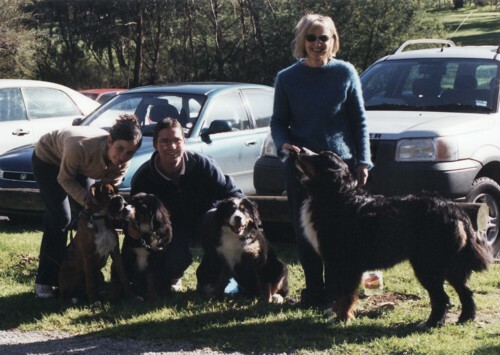 Group shot - Charlie (far right) with litter mates and affectionately referred to as "Launch Pad"
" sit up for a treat"
“Histiocytic diseases ….breed specific genetic disorders ..have become of significant concern to BMD, Rottweiller and Retriever owners in the USA and Europe in recent years…….studies suggested a multigenic mode of inheritance based on the work by Benoit Hedan…To study this cancer, since 2003 we have collected in CNRS Rennes over 2000 blood samples and 500 tissue sample of BMD’s. 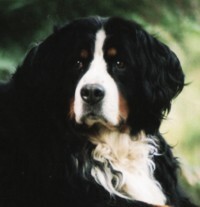 The collaboration with Elaine Ostranders’s lab and our team, previously funded by the AKC Canine Health Foundation, allowed us to identify several loci associated with susceptibility to histiocytic cancers……….To investigate the possible roles of these loci and their interaction, we analyzed 1000 French BMD’s….Genetic analyses confirmed the involvement of at least five loci with an interaction between the two major loci. 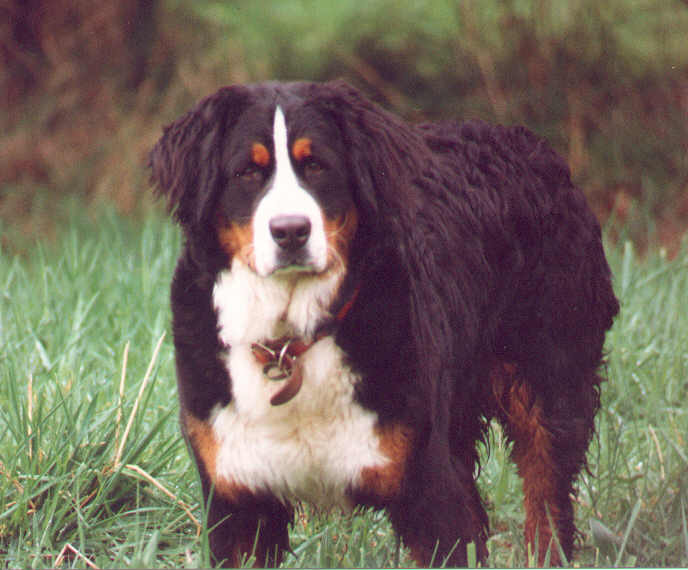 A paper on recent discoveries regarding interaction of these markers is pending. 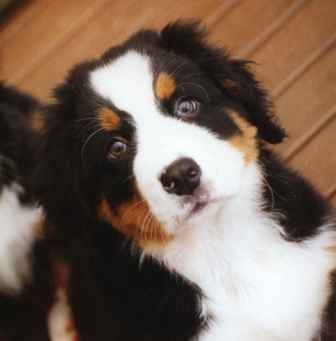 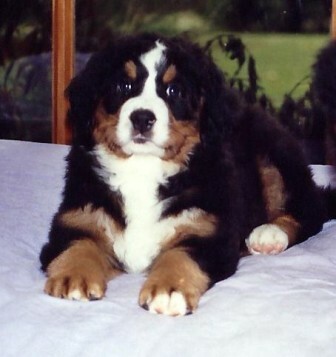 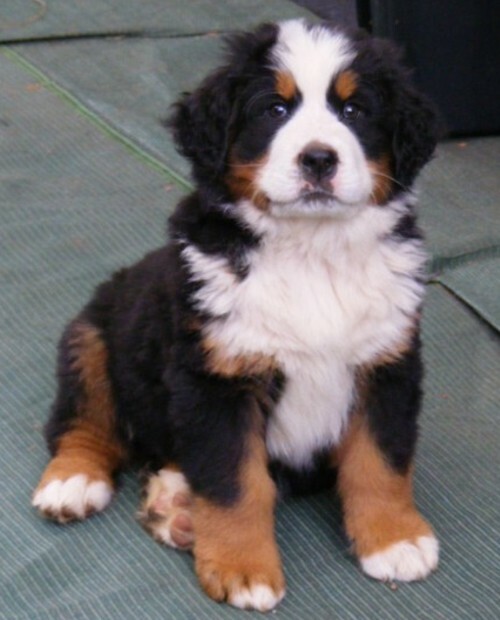 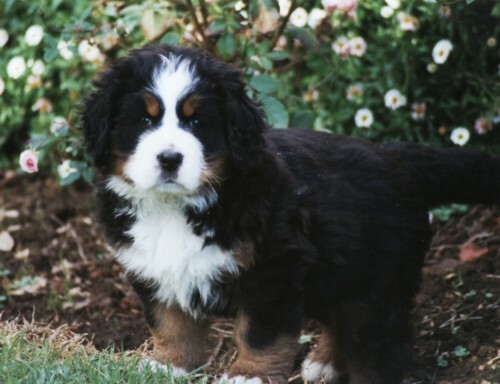 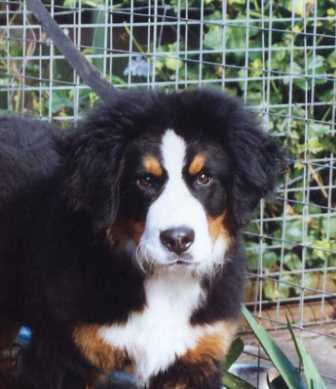 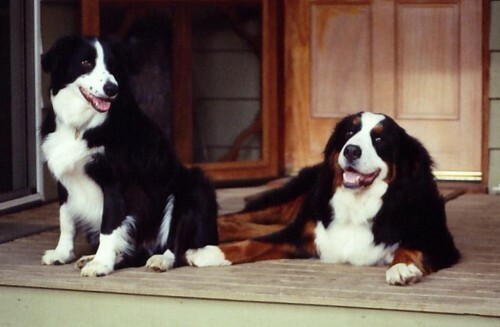 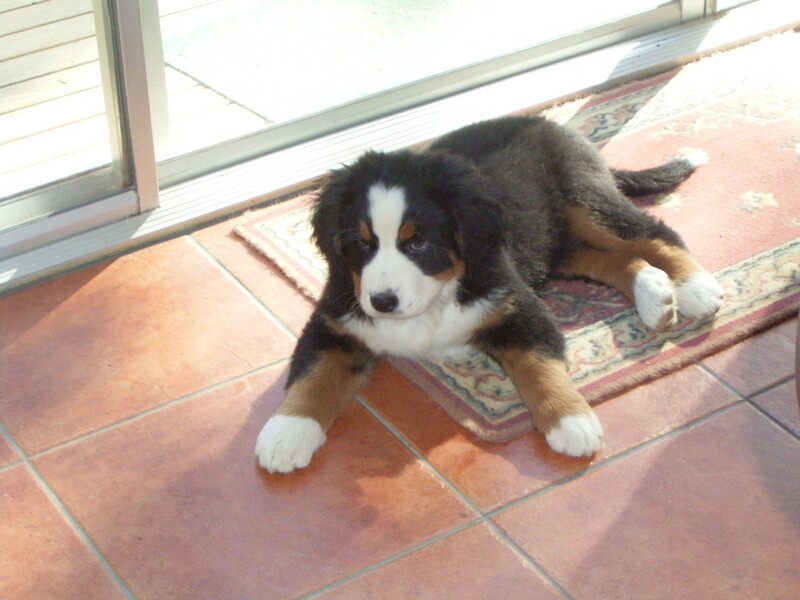 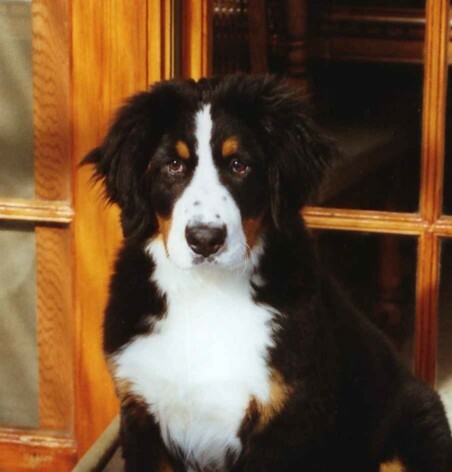 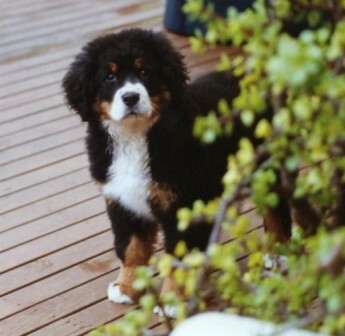 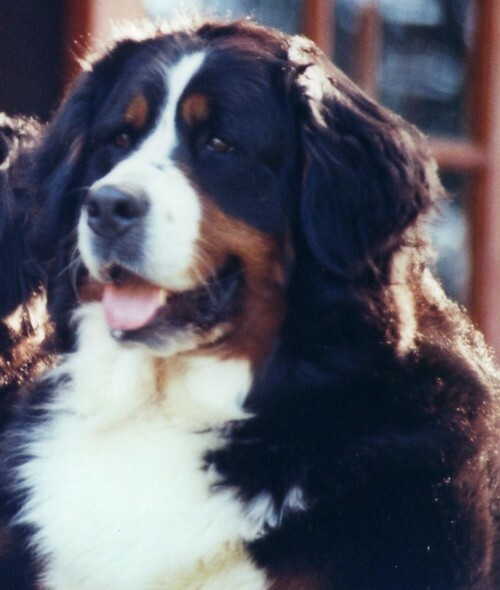 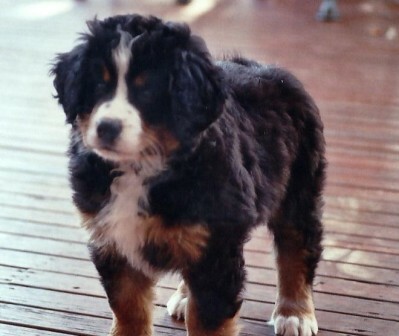 • Select for future breedings dogs in the litter "
summation – This is an amazing development and step forward for longevity in the Bernese Mountain Dog and addresses specifically improved breeding strategies. 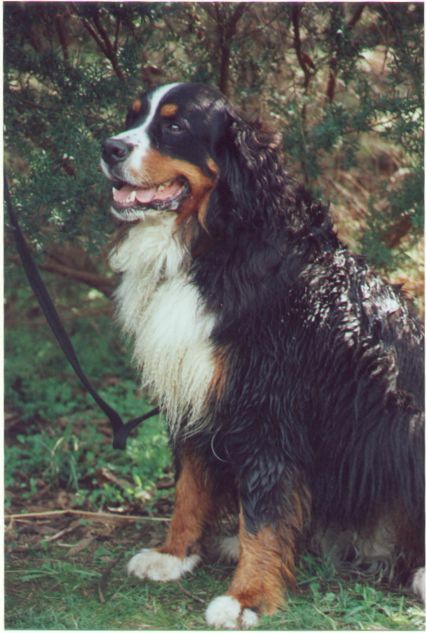 To comprehensively implement such a test, the research, sample collection, analysis and data will be ongoing for many years to come. 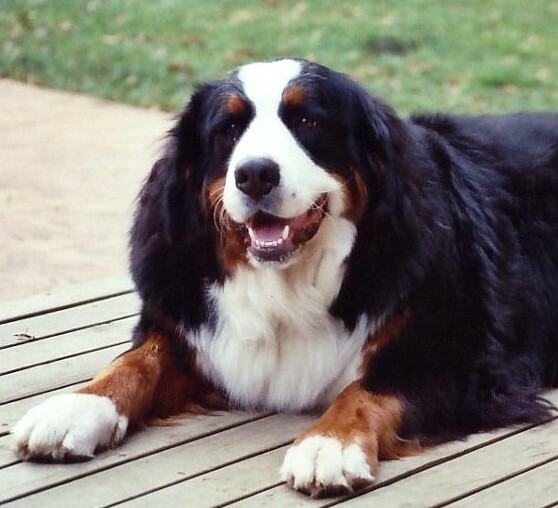 This is validation of the genetic and heritable component in breeding good longevity from individuals/lines that demonstrate longevity and good health. 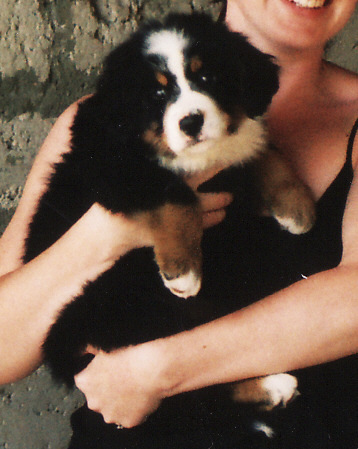 2011 Dharmansk Veteran Celebration !! 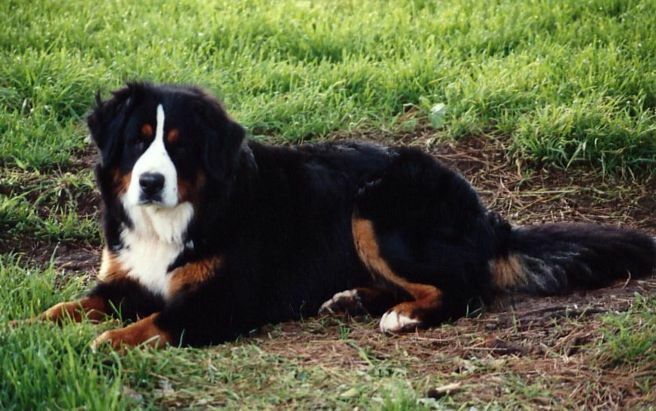 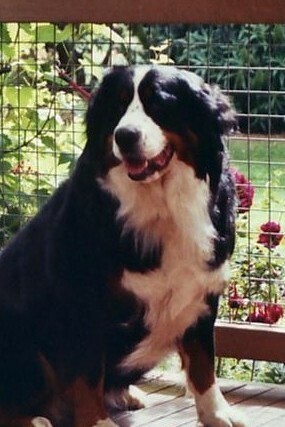 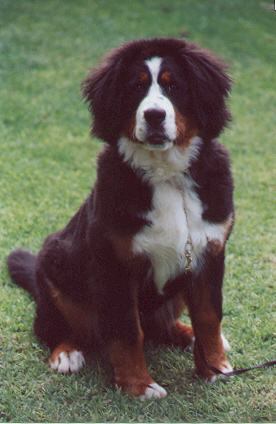 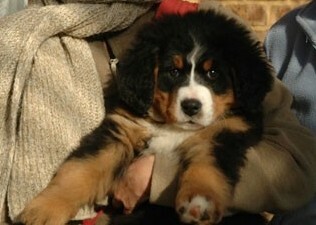 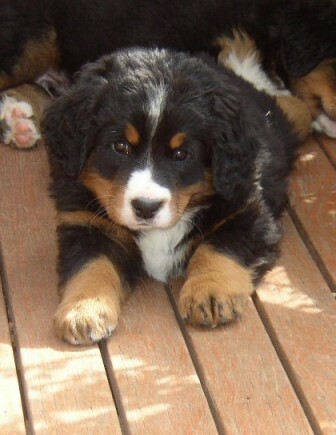 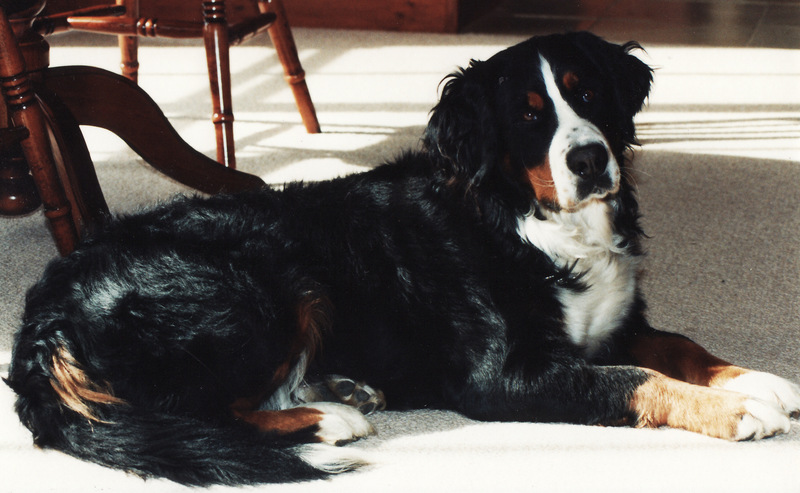 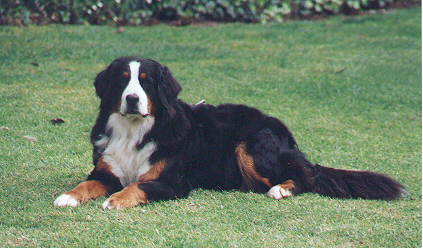 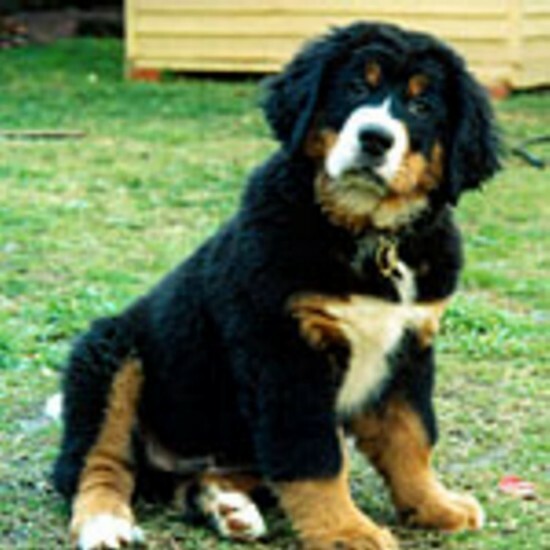 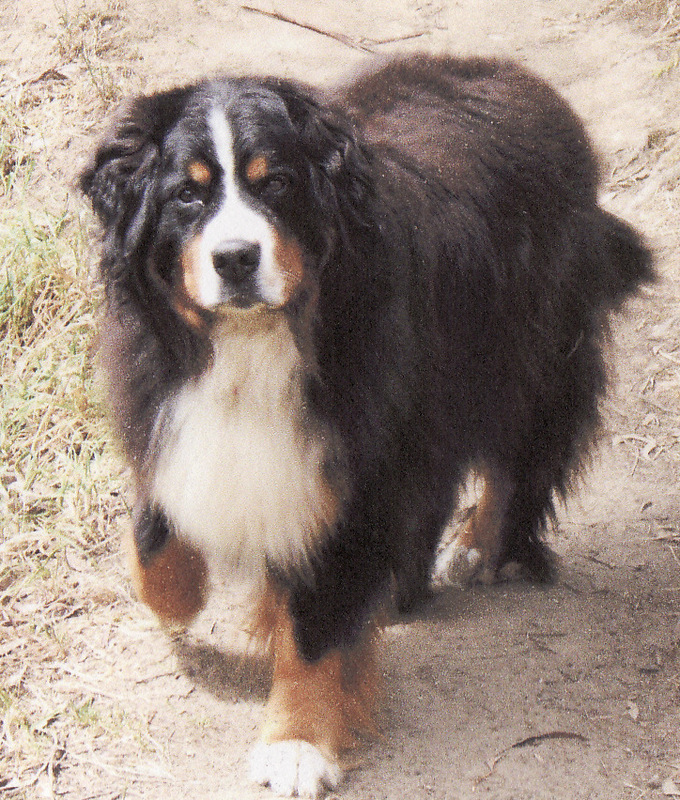 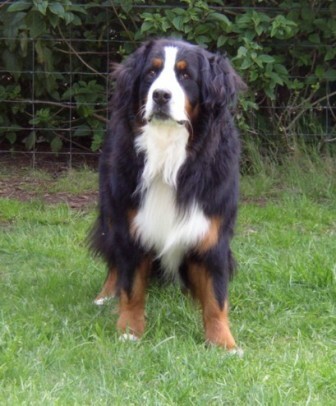 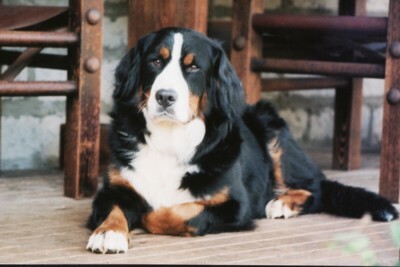 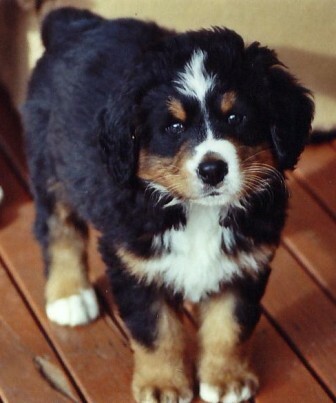 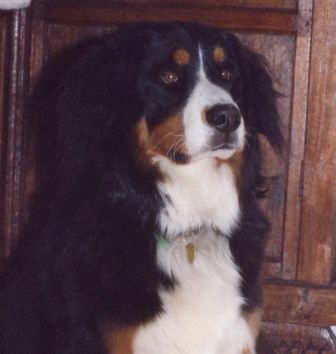 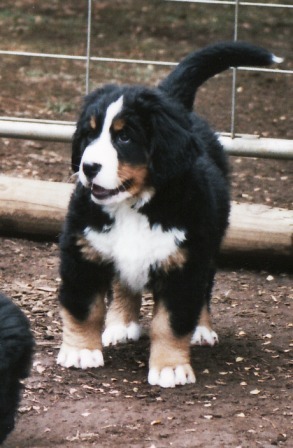 A Veteran Bernese Mountain Dog is described as one having attained the age of 7 years. 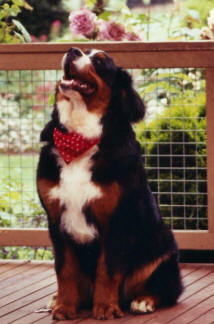 Being a Veteran Bernese is a really important milestone. 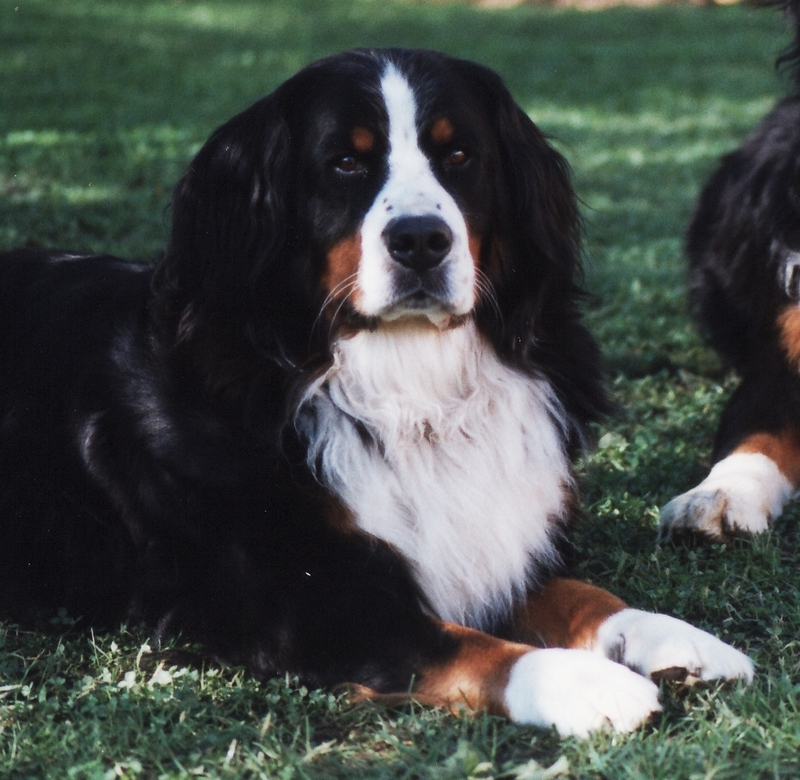 Today we have something special to celebrate with these Bernese achieving their Veteran Milestone !!! 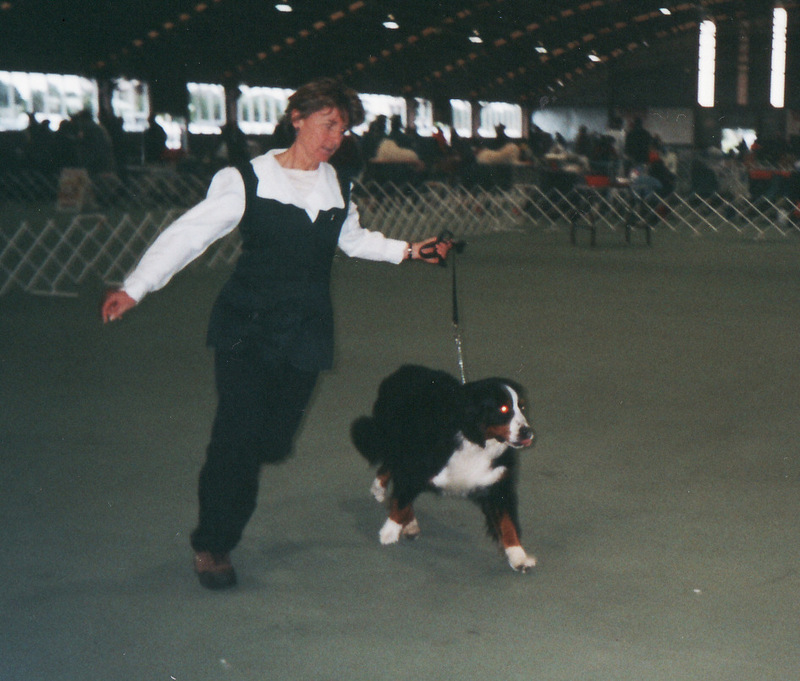 At Dharmansk my approach for breeding embraces individuals (lines) demonstrating good longevity. 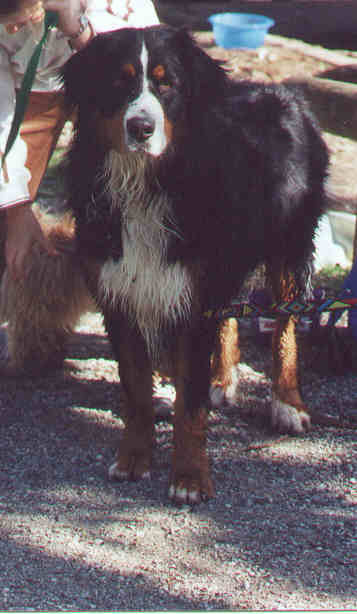 longevity in the Dharmansk breeding program. 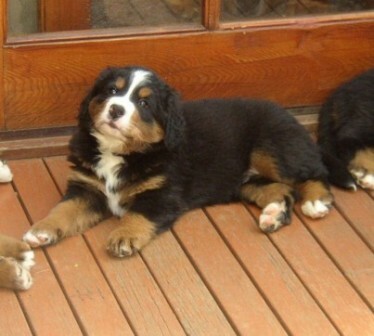 The results so far are very rewarding and consolidating.